Today, April 18th 2019 is my 65th birthday! 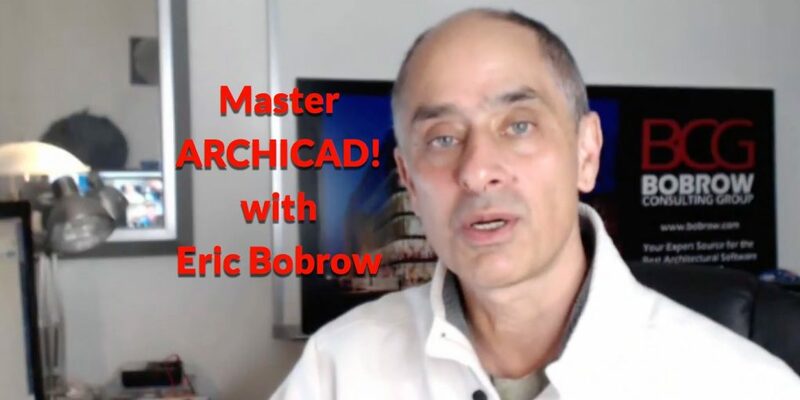 And by coincidence (in terms of important milestones), it's my 30th year working with ARCHICAD; and last week, my ARCHICAD Tutorials YouTube channel reached 25,000 subscribers. I'm sharing the event with my ARCHICAD tribe, and you're invited (of course) to celebrate with me this special occasion in a special edition of the ARCHICAD USER monthly webinar. In today's session, I'll be giving you my perspective on the ARCHICAD journey along with two guests who played very important roles. If you're not already registered, click here to join us at 1 pm PDT or you can catch the recording later on the ARCHICAD USER website. Buy one of my ARCHICAD products during my BIG 65th birthday sale, which runs through April 30th. Announcing the New ARCHICAD USER Jobs Board! The brand new, totally free ARCHICAD USER jobs board is a community service helping users connect from across town or around the world. Join me on a quick tour and see how easy it is to register (it's free) and post a job or contract or upload your resume for consulting or employment. 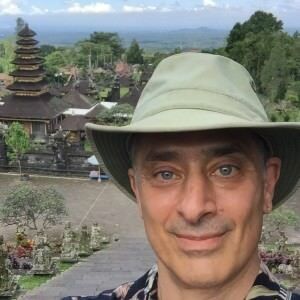 This week I'm celebrating my 65th birthday with a bunch of new videos and announcements, culminating on Thursday April 18th with a unique edition of the ARCHICAD USER monthly webinar with two special guests. We're resuming the monthly ARCHICAD USER webinar series with an exciting session featuring two veterans who leverage the ARCHICAD model for cost estimation and construction management. Learn how these experts set up their ARCHICAD projects and manage data for accurate quantity take-offs and interface with a variety of tools for management, reporting and communication including BIMx Pro, Bluebeam and Excel. 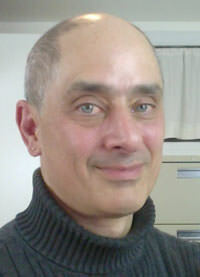 I'll introduce and moderate the discussion, and guide the Q&A. It's going to be a fascinating deep dive into this vital area where design, cost and construction processes meet. In addition, I’m sharing a free pack of resource files to make it easy for you to implement these methods in your own projects. 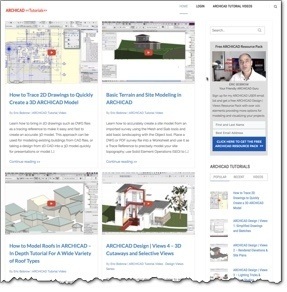 The ARCHICAD Design | Views Resource Pack includes over 100 elements including specially created linetypes, surfaces, building materials, composites and complex profiles, as well as Model View Options, Graphic Overrides and Favorites. Click here to check out the new video series and grab the free resource pack. Wherever you are on the journey towards ARCHICAD mastery, I'm pretty sure you want to continue to learn and improve your skills and optimize your workflow so that you can derive the maximum benefit from this amazing tool. That's exactly what I want for YOU - and all other ARCHICAD users. This month I am running a special "Master ARCHICAD!" event. I'm producing a bunch of new free video tutorials to share with the community. AND I'm putting all of my products on sale. It's going to be "Black Friday - all month long!" Lots of quick tips and tricks, and examples you can use. Short videos (for me) - I'm aiming for 5 to 15 minutes each. I'll even be including cool downloads to make it easy to do some of these tricks. Help yourself to some bargains on ARCHICAD training and on MasterTemplate. Have any questions about any of my ARCHICAD resources? Need a special payment arrangement? Use the little chat widget in the bottom right of this page, or email me at support (at) bobrow.com and I'll be happy to help you.